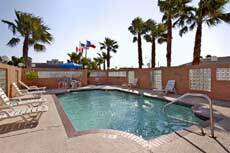 The Howard Johnson Resort Is Located In South Padre Island, Texas, Within One Mile Of Sunchase Mall, Isla Blanca Park And Isla Blanca Beach. Schlitterbahn Beach Waterpark Is Less Than Two Miles From The Hotel. The Port Isabel Historical Museum And Port Isabel Lighthouse State Historical Park Are Three Miles Away. 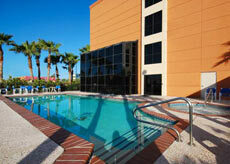 The Super 8 South Padre Island Texas Is Located In South Padre, Texas. Free continental breakfast each morning. The hotel lounge, on the fourth floor, overlooks the bay. Guests can enjoy a bayside swimming pool, in addition to the nearby beach. Located On South Padre Island, The Fiesta Isles Inn Is One Block From The Most Beautiful Beach In Texas And In Front Of A Canal And Cove. Guests Can Start The Day With Complimentary Continental Breakfasts And Later, Borrow Fishing Equipment From The Front Desk And Fish Off The Hotel's Back Deck. The Wanna Wanna Inn Is Ideally Situated Along The Beaches And Sapphire Waters Of South Padre Island, Texas, Minutes From Area Boat Rentals, Horseback Riding And Schlitterbahn Beach Water Park. 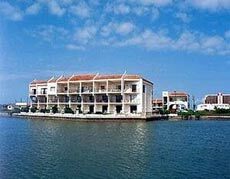 Guests Of This Two- Story Hotel Can Indulge In A Variety Of Outdoor Activities Including Parasailing, Jet Skiing, Snorkeling And Windsailing. 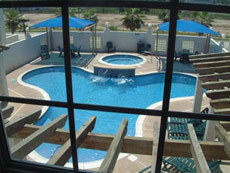 The La Quinta Inn & Suites South Padre/North Beach Is Adjacent To The Of The Gulf Of Mexico In South Padre Island, Texas. The Hotel Is Within One Mile Of Laguna Madre Bay And Water Recreational Activities Such As Deep-sea Fishing, Parasailing And Jet Skiing. Port Isabel And South Padre Island Nightlife Are Less Than One Mile From The Hotel. 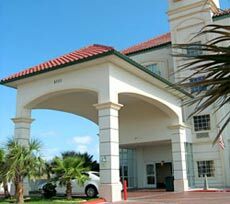 The Padre South Hotel On The Beach Is Located In South Padre Island, Texas. 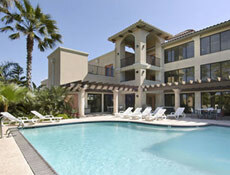 Less Than Two Miles From The Schlitterbahn Beach Water Park, Four Miles From The South Padre Island Convention Center. 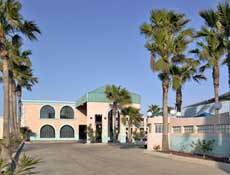 La Copa Inn Beachfront Resort Is Located On South Padre Island Beach Texas, Within One Mile Of Laguna Madre Bay. Sea Ranch Marina, Fishing Piers, Schlitterbahn Water Park. Isla Blanca State Park Are All Located Less Than One Mile From The Hotel. The Sunchase Iv Resort Offers Captivating Views Of The Gulf Of Mexico And The Bay. Each Of Our Large Fully Furnished Condominiums Have A Balcony Off The Living Room And The Bedroom. Amenities Include A Fitness Room, Heated Pool With Jacuzzi, Sauna/Steam Room, Racquetball Courts, Tennis Courts And Ping Pong Table. Tropical Climate Year Round Makes The Sunchase Iv Resort A Perfect Place For A Family Vacation. 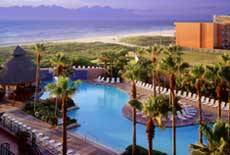 The Peninsula Island Resort Lies On The Coast Of South Padre Island, Texas, Just One-half Mile From The Fishbones Fishing Pier, The Island Equestrian Center And The Sea Rocket Spi. Also One-half Mile From This Hotel Are Gravity Park And The Gladys Porter Zoo. Whether You Are Traveling With Family, Friends, Or Planning A Group Excursion And Looking For A South Padre Island Beach House Or Condo, Look No Further. We Host An Incredible Selection Of Island Beach Homes And Vacation Condos To Accommodate Parties Of All Sizes And Price Ranges. Our South Padre Island Condo And House Rentals Can Place You On The Quiet Beaches Or Close To All The Island Action And Fun Nightlife. South Padre Islands Beaches Are The Perfect Excuse To Just Waste Away In Paradise By Relaxing And Sunning While Vacationing On The Island.